Across the country or across the world, NuCompass provides a full range of U.S. domestic and global mobility services. Our services are designed to make your job easier and enhance the relocation experience for your employees. From start to finish, NuCompass offers unmatched excellence in service and support to our customers. We help companies of all sizes and industries successfully plan, implement, and execute their relocation strategies. Attracting top talent is critical for every organization. We can support your hiring and recruiting strategies with cost-effective relocation services. Our global presence and range of services help your employees get settled and become productive as quickly as possible, anywhere in the world. We have five global offices and serve more than 150 countries worldwide. 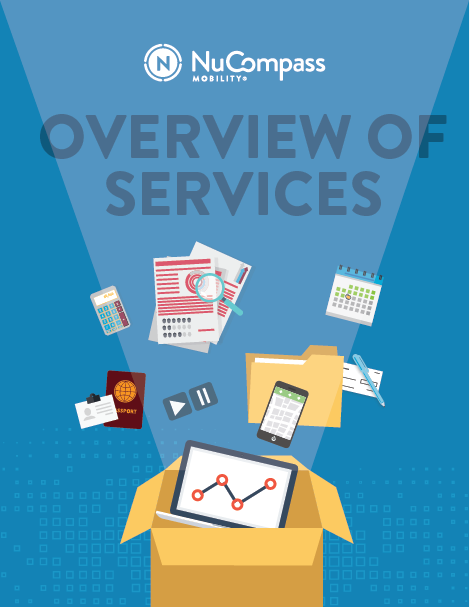 View our complete list of services for a successful mobility program.